Sudden Infant Death Syndrome or SIDS is marked by the sudden death of a newborn or infant under the age of 1 year old that is much unexpected by medical history and still remains unexplained after a thorough autopsy and a detailed death scene investigation. SIDS also is referred to the terms cot death or crib death since the child dies in the crib. SIDS rates have dropped drastically over the years, when parents were told to put babies to sleep or bed on their backs or sides to reduce the probability of SIDS. Regrettably, Sudden Infant Death Syndrome remains major cause of death in infant. Over thousands of babies die of SIDS in the United States each year. The source of SIDS is unfamiliar, although there are many theories. Many doctors now believe that Sudden Infant Death Syndrome is not a single situation that is always caused by the same medical problems, but infant death is caused by several other factors. These very factors include trouble with sleep arousal or the inability to sense a build-up of carbon dioxide in the blood. Many SIDS deaths occur without any warnings or even without symptoms when the infant is thought to be in a peaceful sleep. In many cases, no sign of distress is identifiable. When the parents finally discover the infant in the crib it is lifeless, without a pulse or respiration. Parents may perform CPR on the infant, but evidence shows a lack of beneficial effects from CPR. When the infant is finally taken to a medical center, the cause of death can remain unknown regardless of careful reviews of the medical history, scene of investigation, x-rays, and even an autopsy. The cause or source of SIDS is still unknown even today, but there are some factors that can cause the sudden death of an infant. There are many things that can increase the risk of SIDS such as; babies who sleep on their stomachs, babies who are around cigarette smoke while in the womb or after being born, babies who sleep in the same bed as their parents, babies who have soft bedding in the crib, multiple birth babies (being a twin, triplet, etc. ), premature babies, babies who have a brother or sister who had SIDS, mothers who smoke or use illegal drugs and even teen mothers. There are many ways a parent can prevent SIDS from happening to their infant. They could use a fan to circulate the air. A fan could simply increase the mixing of exhalation into the room air and lessen the risk of SIDS related to infant hypoxia. Researchers have found out that the fan use was associated with a 72% lower risk of SIDS. Only 3% of the babies who died had a fan on in the room during their last sleep, mothers reported. That is compared to 12% of the babies who have lived. Using a good fan reduces risks most for babies in poor sleeping environments. Another way a parent can prevent SIDS from happening to their infant can be safe bedding. To provide a bed that can keep an infant safe includes against using pillows, sleep positioners, bumper pads, stuffed animals, or fluffy bedding in the crib and it is recommended instead to dress the child warmly and keeping the crib “naked.” Also another safety precaution could be to prevent putting a blanket over the infant’s head. There are many other ways for parents to prevent their infant from SIDS, these are only a few examples. The Epidemiology, study patterns of health or illness, is very large and crucial for a parent to know about. SIDS is responsible for 0.543 deaths per 1,000 live births in the United States in 2005. SIDS is also the leading cause of death in healthy infants after one month of age. SIDS deaths have decreased since 1992 from 4,895 to 2,247 deaths in 2004. SIDS have been decreasing from 80% to 55% from 1989 to 2004. So other the years there have been less infants that have died from SIDS. 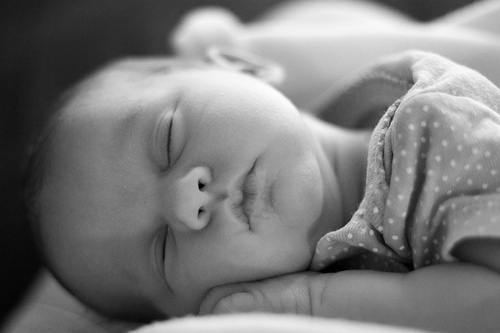 Throughout the many years of parenthood we have been able to prevent the causes and factors of SIDS drastically. There are 14 epidemiologic characteristics of SIDS which includes increased risk of prone sleep position, and SIDS risk is greatest during sleep. There are many other characteristics and this is just a few. By knowing the epidemiologic characteristics it could help a parent know what the factors are for SIDS. Sudden Infant Death Syndrome is caused by many factors and has been happening for many years. There are now ways to prevent this from happening to an infant. By looking up ways to prevent SIDS and information on Sudden Infant Death Syndrome, it could help many parents around the world to keep their infants in safe arms. I learned that Sudden Infant Death Syndrome happens a lot to infants under 1 year old and is very serious. By looking up information people can prevent this. # Well-Written (Original) Essay: She wrote this essay very well and I can tell that she did not copy and paste. # Appropriate / Relevant Pictures: Her pictures relate to the topic because it shows a baby sleepy. # Formatting (Text & Pictures): I like how the picture was placed at the top of the essay. # Working Links: The links work and bring you to the site where she got her information. # Visually Appealing: This essay is very nice, it isn't messy or anything and its well written. # Good Labels (i.e. “baby, babies, SIDS, causes, facts, medical”): The labels are good and relate to the her topic. # Recommendations for making the essay better (spelling, grammar, pictures, facts, etc. ): She should add in a few more pictures just to give the essay a little more content. # How did the essay change your views about the topic? : I didn't really know anything about this topic but now this essay has informed me about it. Choice of Topic: Very interesting topic. It was informing and I felt that I got a good understanding of what it's about. Well-Written (Original) Essay: Very organized. Appropriate / Relevant Pictures: The picture was a good touch to the overall theme of the topic. Formatting (Text & Pictures): Good format but I would have liked to see more pictures. Working Links: They all worked. Visually Appealing: Yes, it made me interested enough to read it. Recommendations for making the essay better (spelling, grammar, pictures, facts, etc. ): I did not find any errors. Only thing is maybe add another picture. How did the essay change your views about the topic? Before reading this essay, I didn't know anything about SIDS. I learned a lot from it. Choice of Topic: This is a good topic because many people probably don't know about SIDS and it is a very serious thing when you are having a baby. Well-Written (Original) Essay: Well written and organized. Appropriate / Relevant Pictures: You only had one picture but I understand that there probably wasn't to many pictures to put with your topic. Formatting (Text & Pictures): You had very good format and organizations of topics but more pictures could have been better. Visually Appealing: Yes, this is why I chose to read it. Recommendations for making the essay better (spelling, grammar, pictures, facts, etc. ): I don't think you were missing anything. How did the essay change your views about the topic? I didn't have any views on this topic before because I didn't know about it. I'm glad I chose to read it though because it is an important thing to know! Well-Written (Original) Essay: It was Well written. Appropriate / Relevant Pictures: there was only one picture but it did go with the essay. Formatting (Text & Pictures):would have liked more pictures, but the one that was included was very good. Formatting was good. Visually Appealing: yes even though there was only one picture it made me want to read it. How did the essay change your views about the topic?I had heard the term sids before, but i knew nothing about it and this essay informed me of what it was and did a good job of it.